Responding to the movement of displaced people through international cooperation and shared responsibility is one of the most complex challenges of our generation. The United Nations set out ambitious plans to create more effective and humane collaboration on migration and refugees with the New York Declaration adopted by its Members States in September 2016. It was the starting point for talks on two compacts, the Compact on Safe, Orderly and Regular Migration and the Compact on Refugees, to be adopted in 2018. 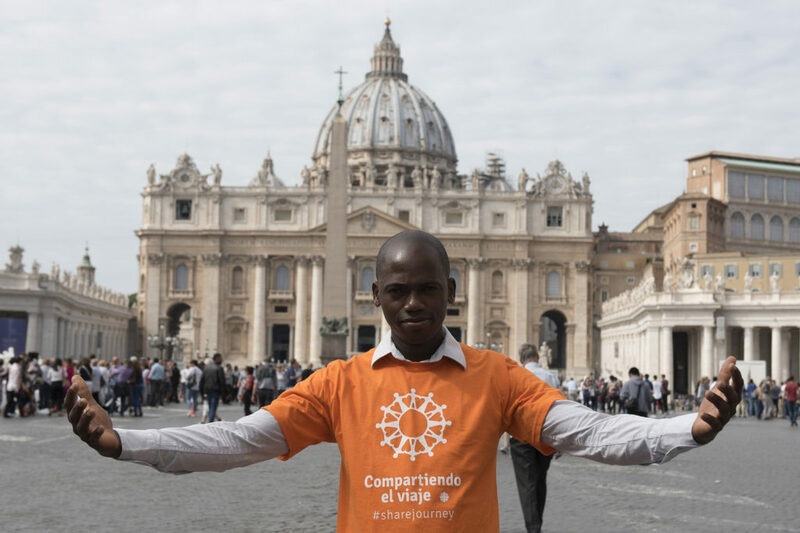 Pope Francis has outlined our shared responsibility to welcome, protect, promote and integrate migrants and refugees at all stages of the journey through the Twenty Action Points for the Global Compacts. Combined, the future compacts offer a unique opportunity to improve the lives of people on the move. They could provide the policy framework to ensure safe and legal pathways for people migrating, greater protection – especially for refugees, inclusive societies and the right to remain at home. A successful outcome of international negotiations will grant access to migrants and refugees to universal human rights. Caritas Internationalis strongly praises efforts to build a collective international response to the large movement of migrants and refugees, to build greater equity across countries and support migrants and refugees so they can live in safety and dignity. If this opportunity is missed it will be a damning indictment of the international community. Unfortunately, the current reality is that migrants and refugees are being left behind. When refugees and migrants are forced to move because of conflict, violence, environmental disasters or lack of opportunities for their integral human development the response is not to build walls but to build bridges. Instead of solidarity, powerful nations are closing and externalizing their borders by transferring border management to third countries in exchange of development aid. Across the world, countries neighbouring those at war are being left with the responsibility of coping with large numbers of refugees. The compacts must challenge this status quo. 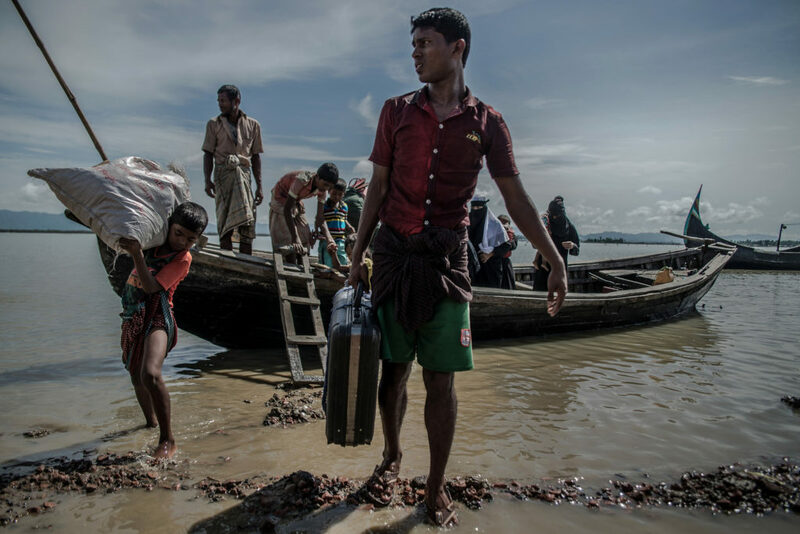 The global compacts should not impose additional obligations on refugee hosting countries nor on countries of origin, rather establish equal and effective mechanisms for responsibility-sharing. There must be genuine commitments to translate intentions stated in the New York Declaration into concrete actions. The impact of climate change on vulnerable societies is likely to drive further migration in the years ahead. The compacts must acknowledge the risks related to climate change and provide specific protection for those who are displaced by its impacts. Failure to do so is short-sighted at best. The compacts must commit to expanding legal pathways for migrants and refugees including resettlement, humanitarian corridors, labour mobility and family reunification so as to ensure that they can move in safety and dignity and not fall prey to smugglers and traffickers. The principle of non-refoulement says that no one should be sent back to his country if they fear for their life there. Caritas is calling for non-refoulement to be in both compacts (currently neither reaffirms the principle). Without that, refugees and migrants will have a Sword of Damocles hanging over their heads as they risk being returned to places where they will be in danger. The global compacts risk failing migrant children if they still can be are detained because of their legal status or that of their parents. States must treat children on the move first and foremost as children and protect them according to their rights as a child – they should never be detained or deported. Categorising migrants and refugees as regular, irregular or refugees does not put their human dignity or human rights first, especially when it deprives them from access to education, justice, social services, health care and housing. Under the compacts, access to essential services is essential regardless of migratory status. Migrants are reluctant to report abuses and the violations of human rights to social services such as heath or education providers when those providers are obliged to inform immigration authorities. Barriers must be in place to prevent this. Members of Caritas Internationalis work in the care and accompaniment of people driven from their homes. Through advocacy and service, our work includes tackling the root causes of forced migration, providing humanitarian support for migrants and refugees, seeking sustainable integral human development, and engaging grass root communities to provide protection and sustainable solutions through local integration, voluntary repatriation and resettlement. Caritas launched the Share the Journey awareness campaign in 2017. The campaign promotes a global effort among Caritas organisations in creating increased spaces and opportunities for communities to find out more about migrants and refugees and to join in shared experiences and initiatives. The campaign was prompted by Pope Francis’ repeated calls to promote the culture of encounter which emphasises the importance of building stronger relationships within communities and to face the increasing challenges in our world with united rather than individualistic efforts.